It is used for decorative folding of leather, synthetic material and imitation leather bottom. 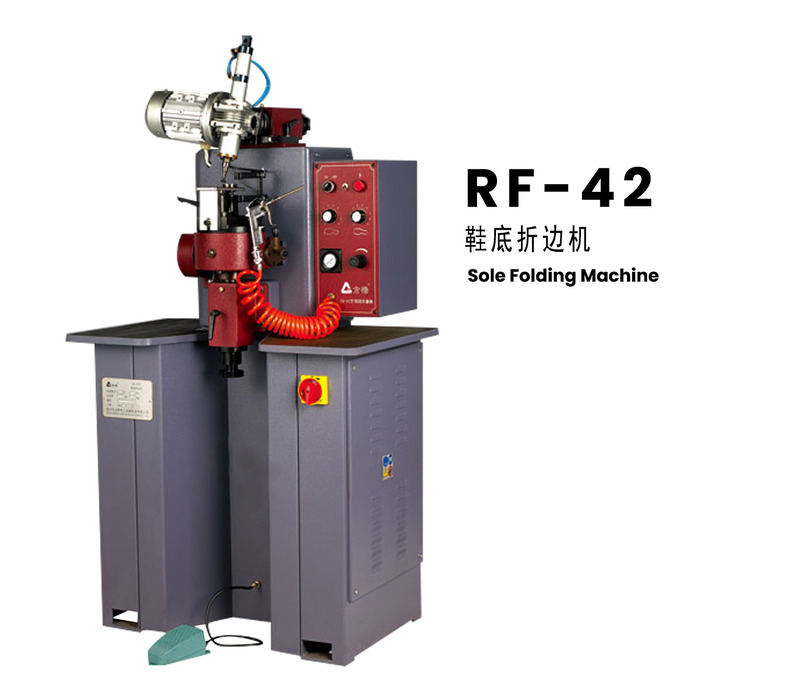 By the action of wheel, feeding wheel and embossing wheel, the outer bottom is folded into edges and corners of a certain shape and angle, so that the outer bottom has a special aesthetic effect. The length and appearance of the flanged edge can meet different requirements by replacing the different recliner.